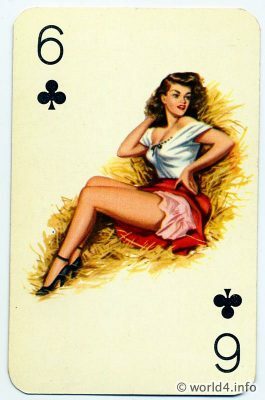 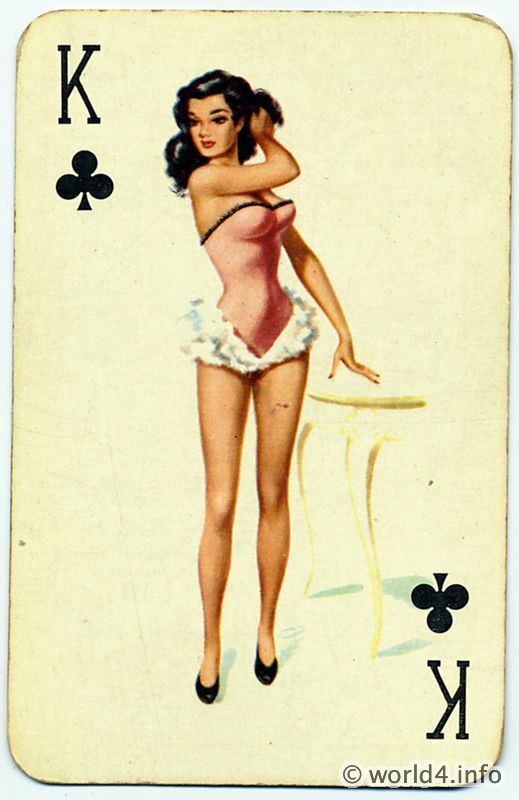 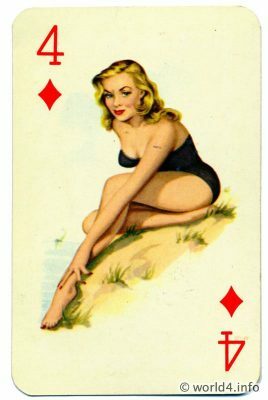 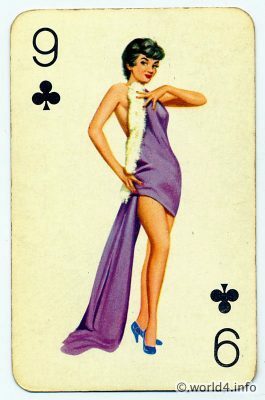 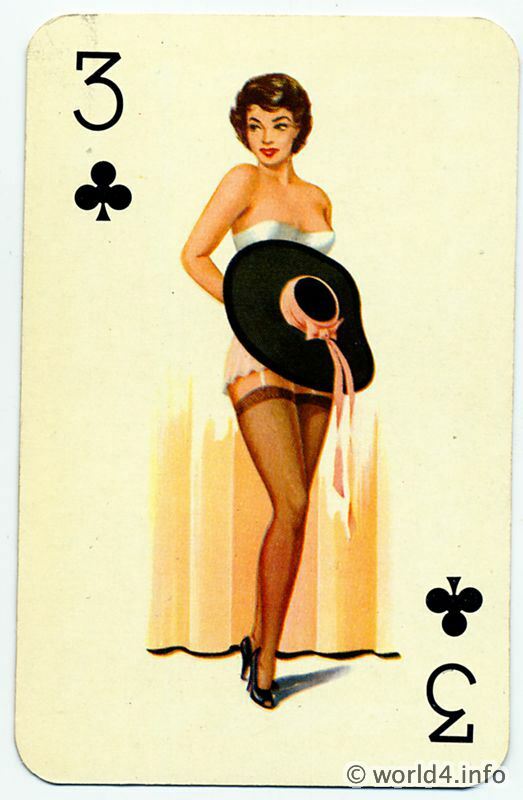 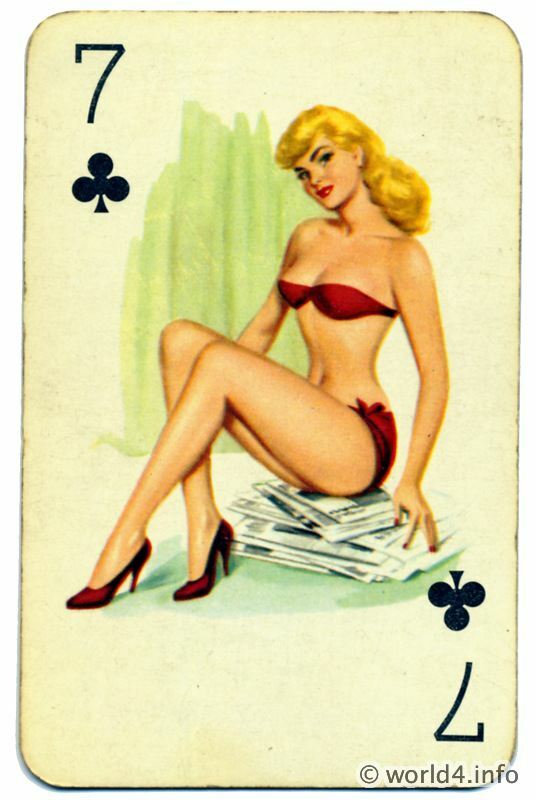 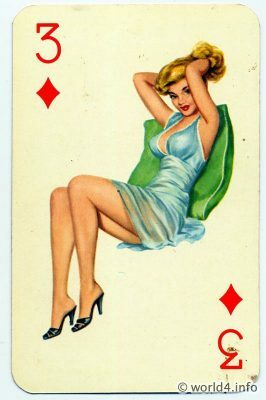 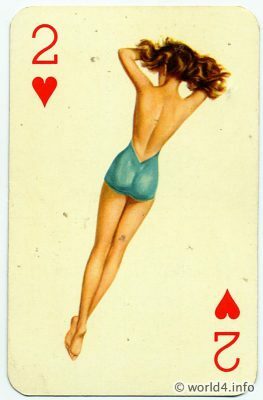 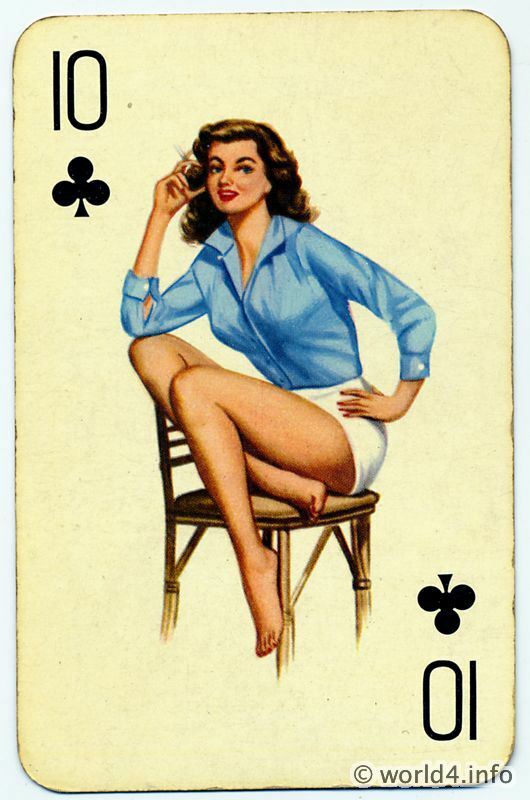 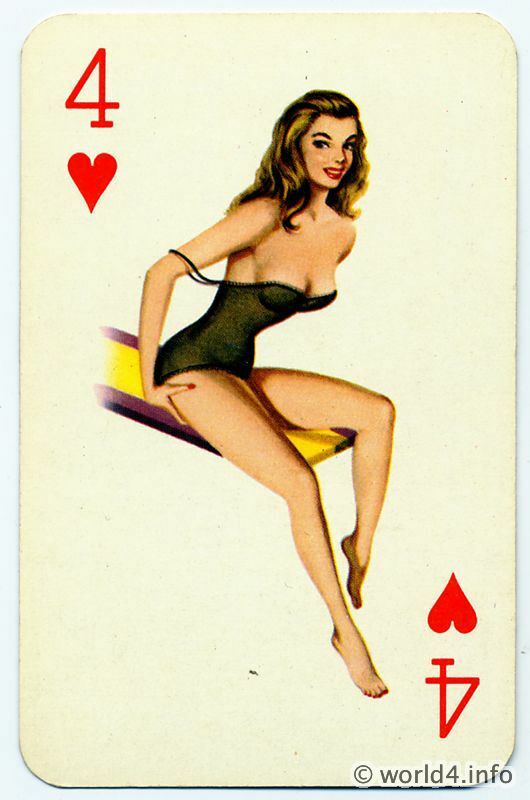 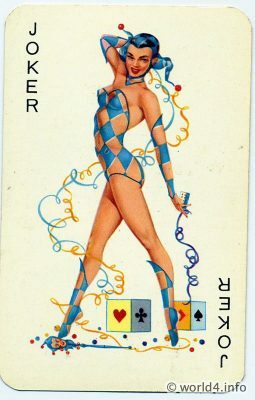 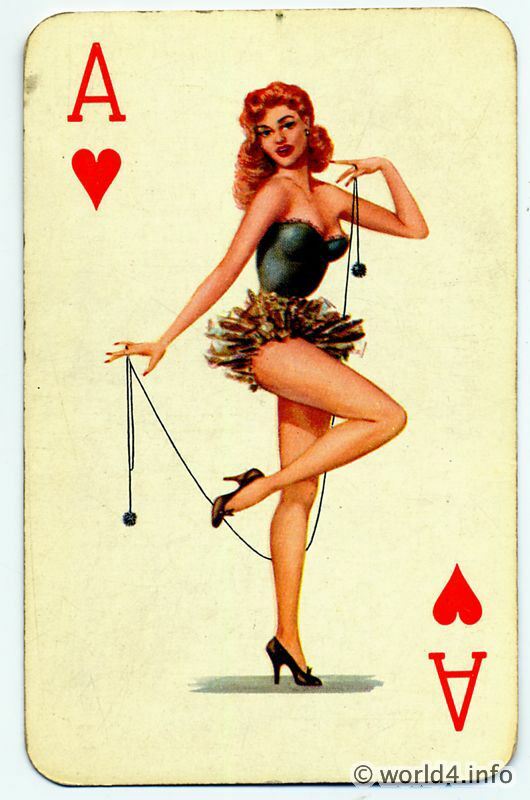 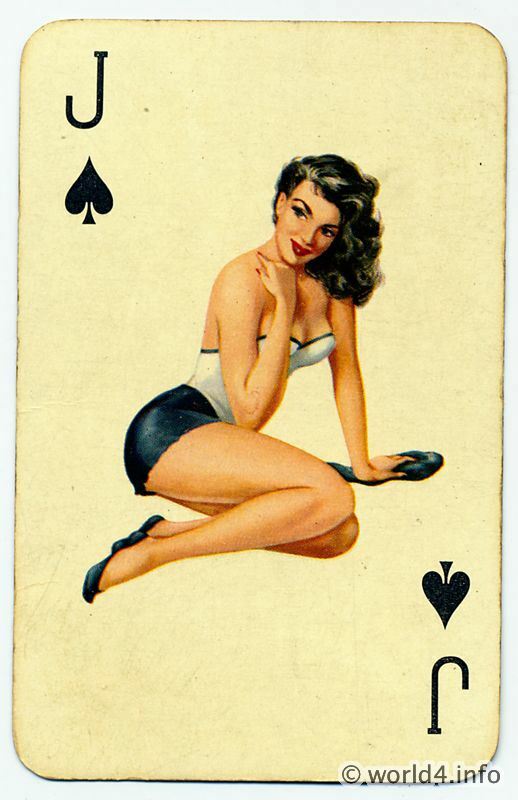 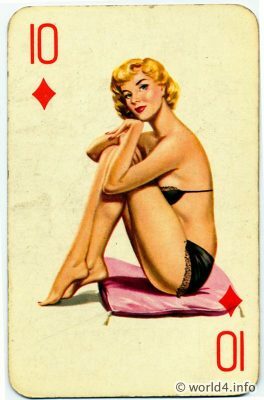 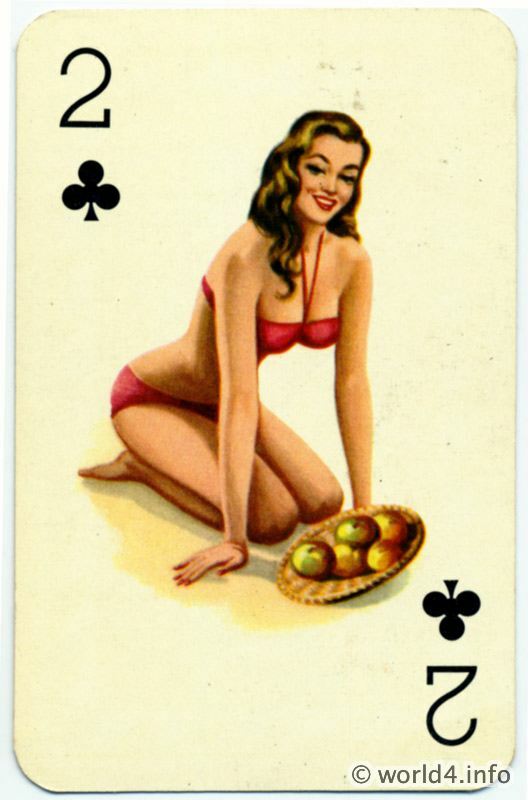 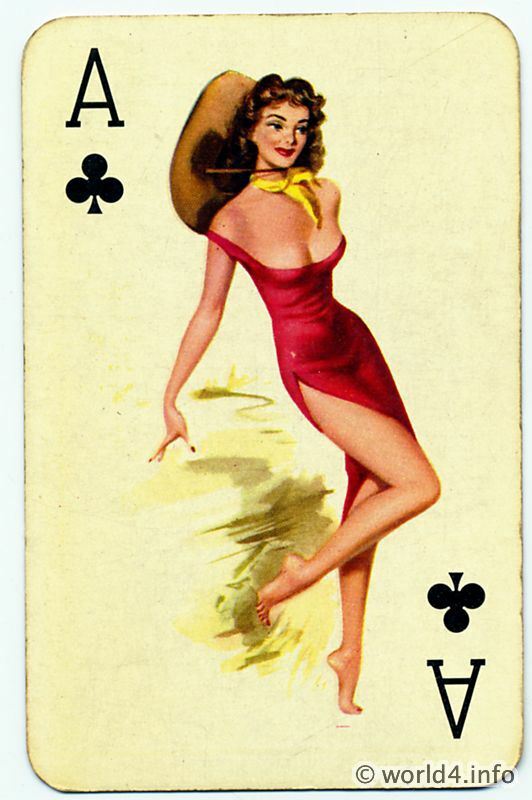 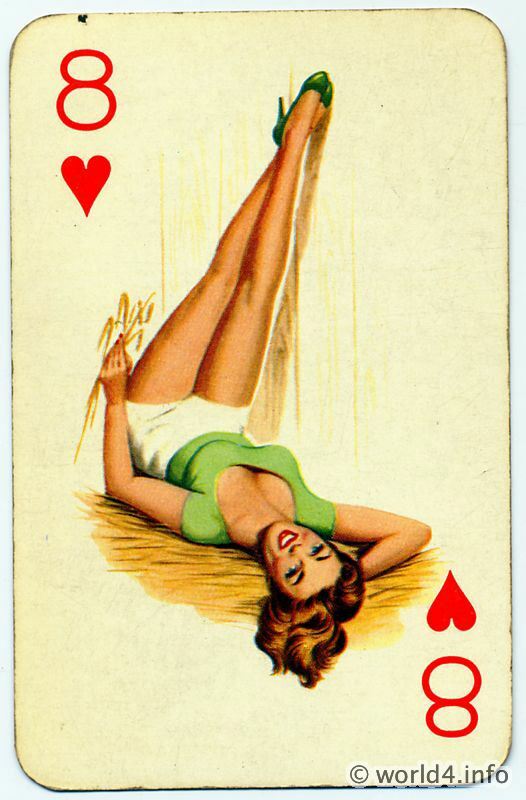 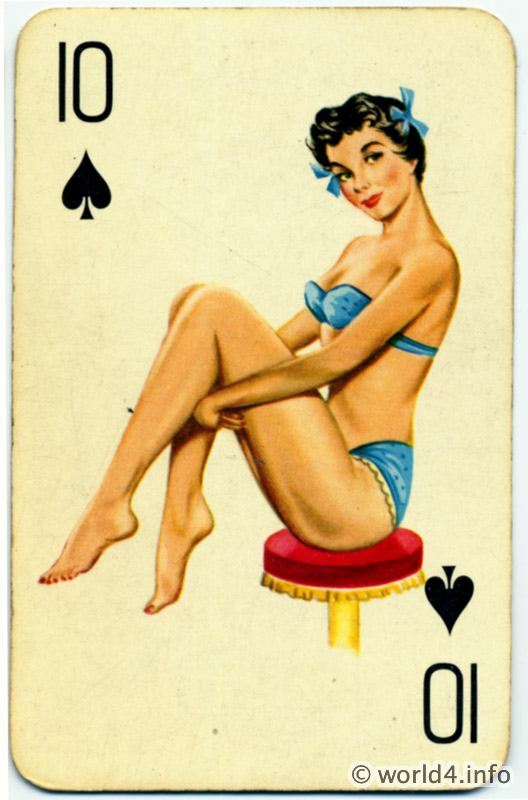 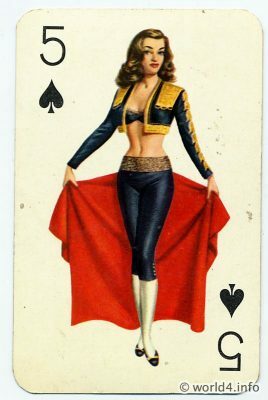 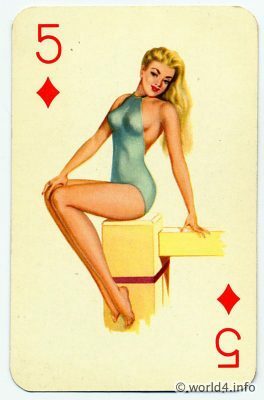 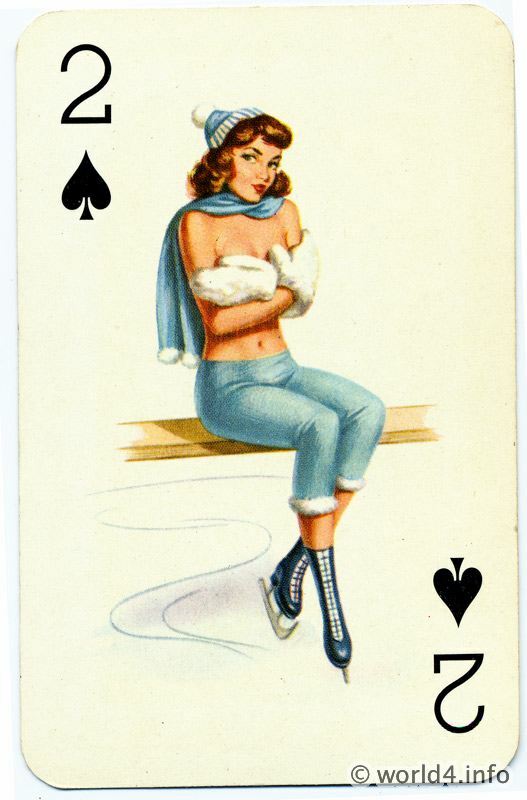 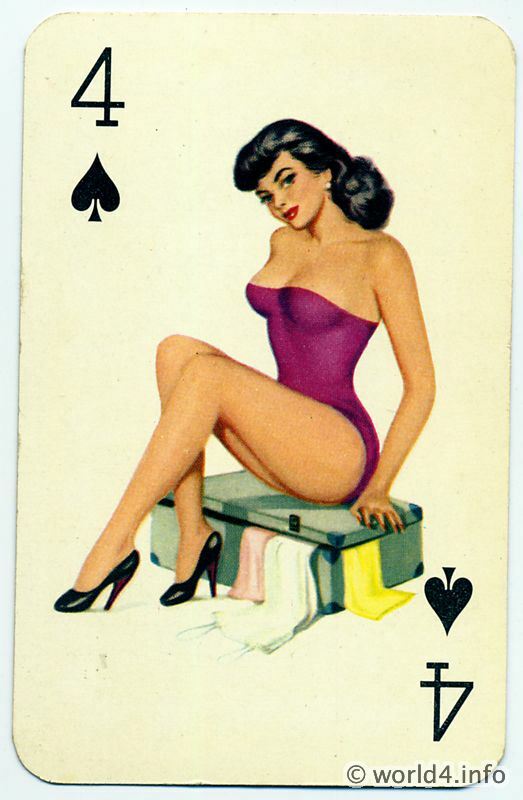 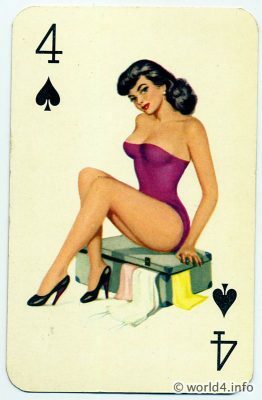 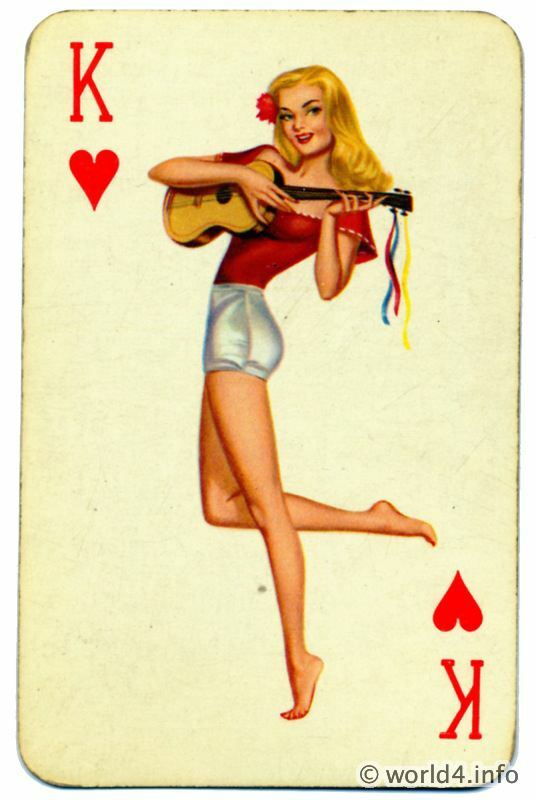 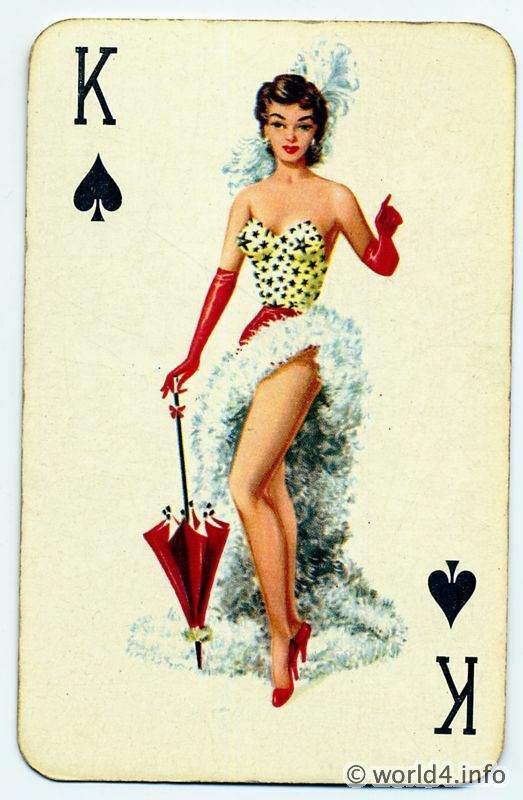 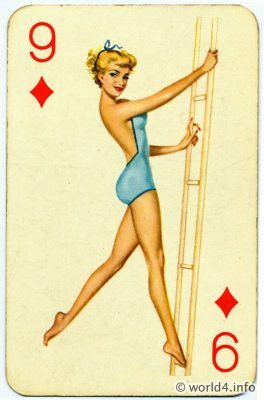 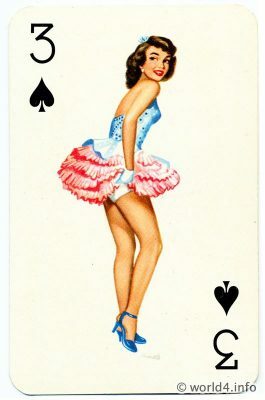 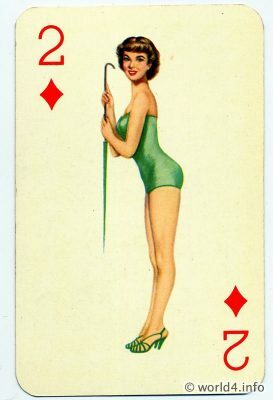 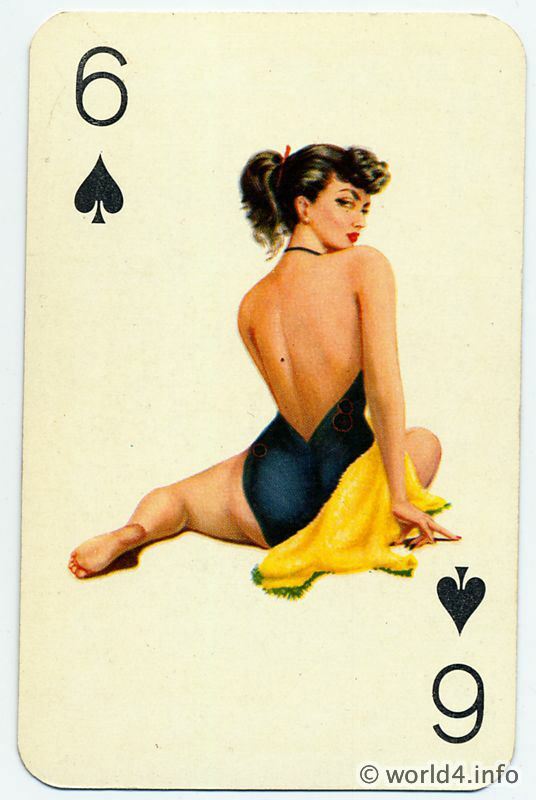 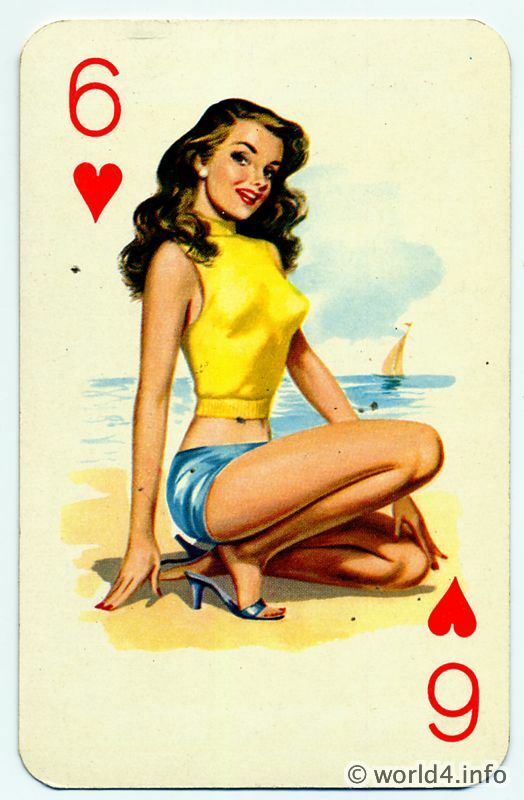 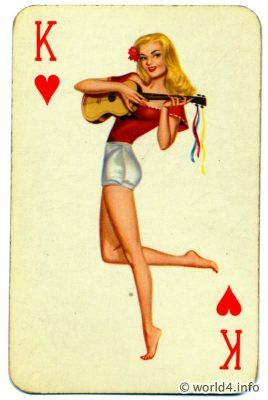 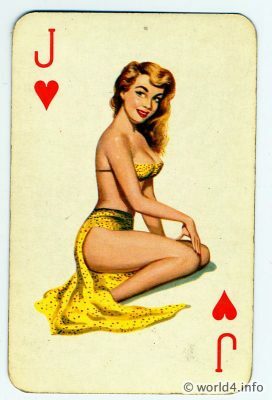 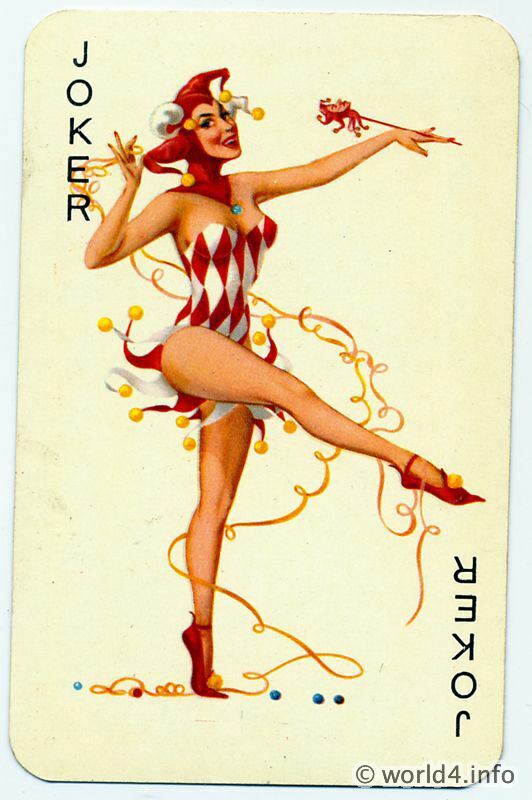 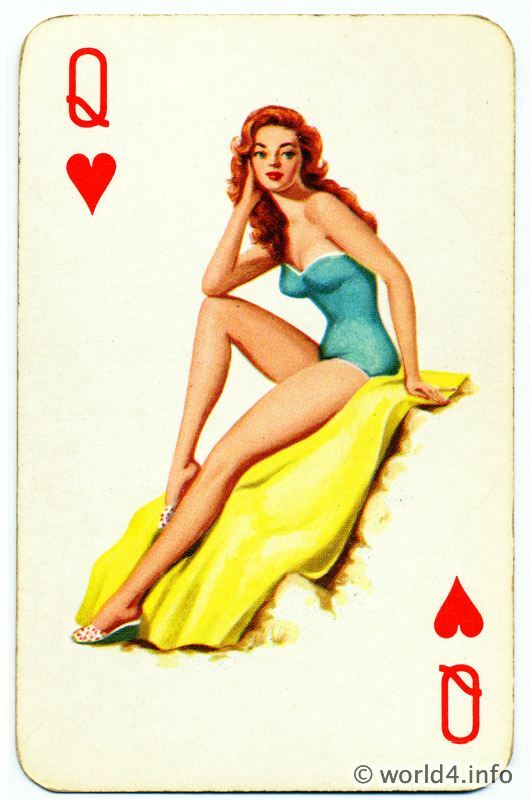 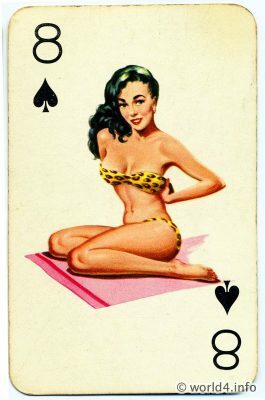 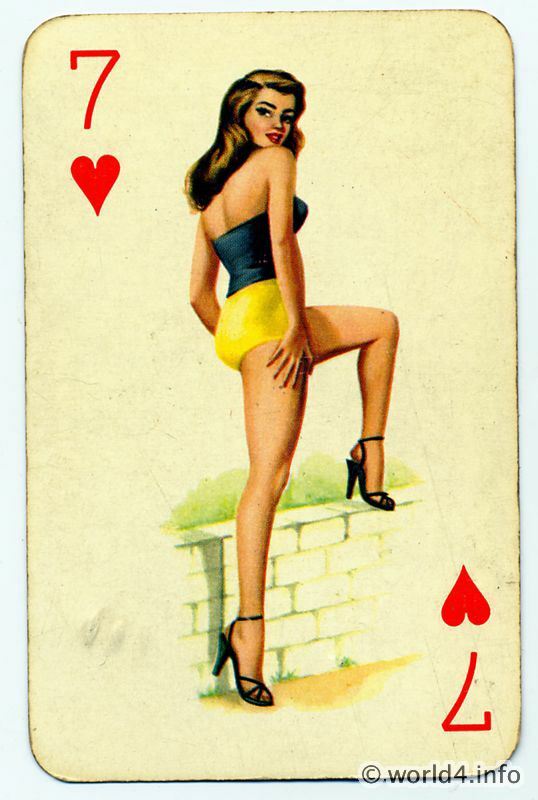 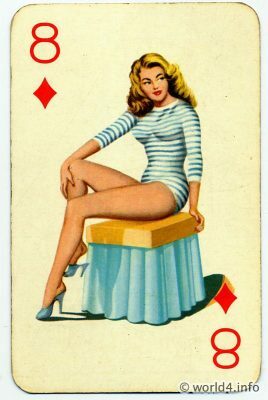 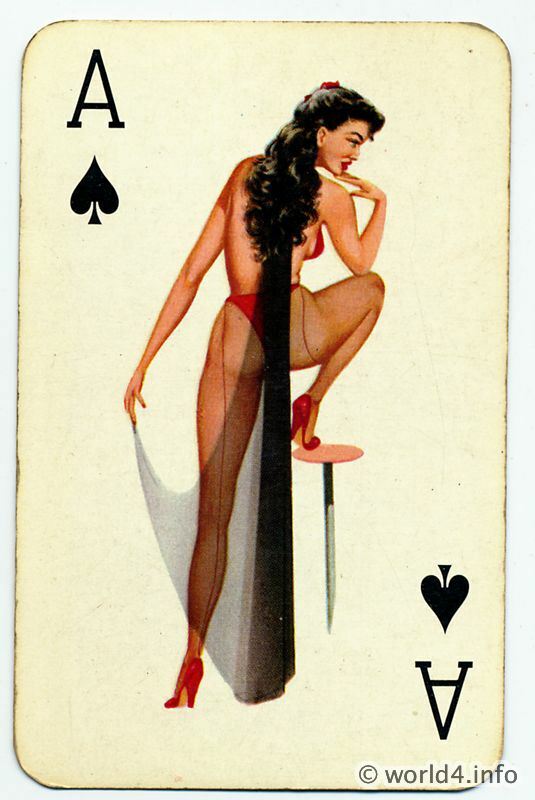 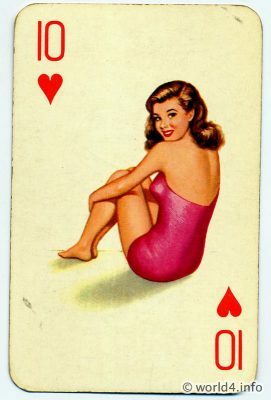 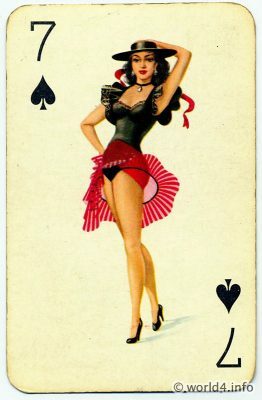 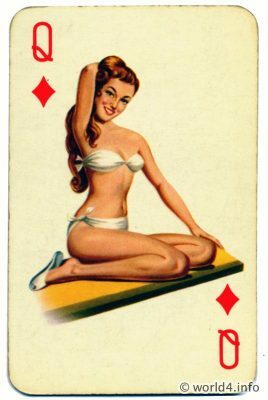 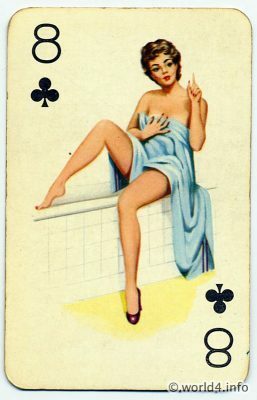 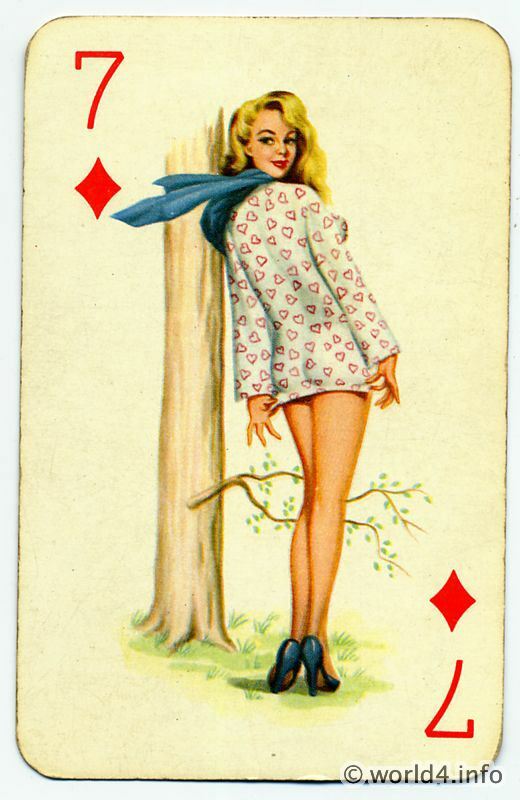 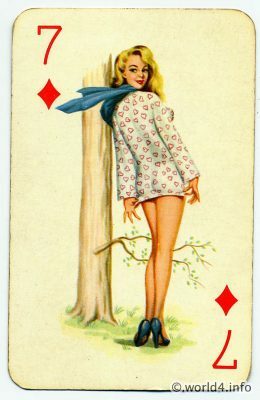 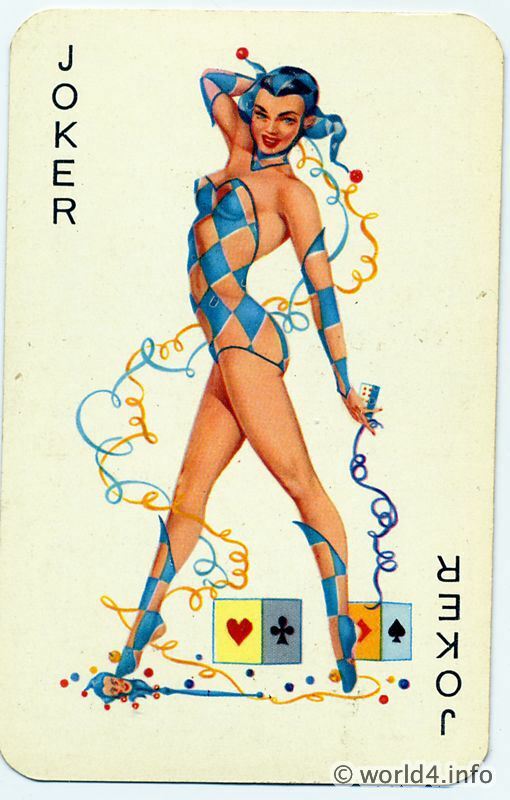 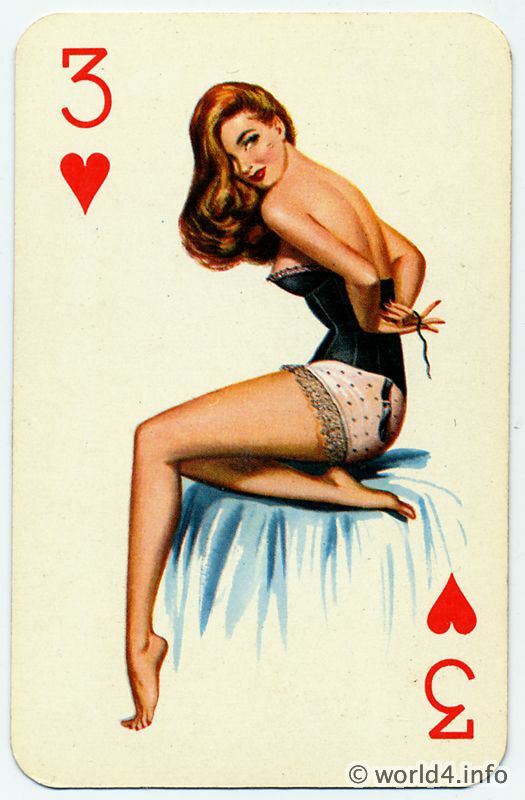 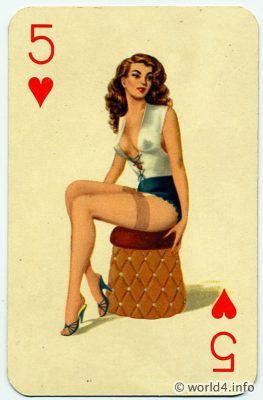 Pin-up girls fashion on playing cards. Germany 1950s. 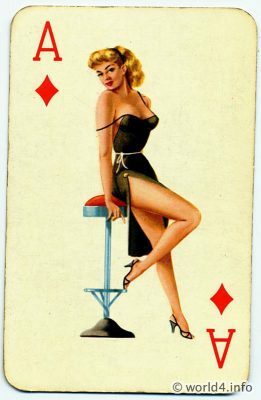 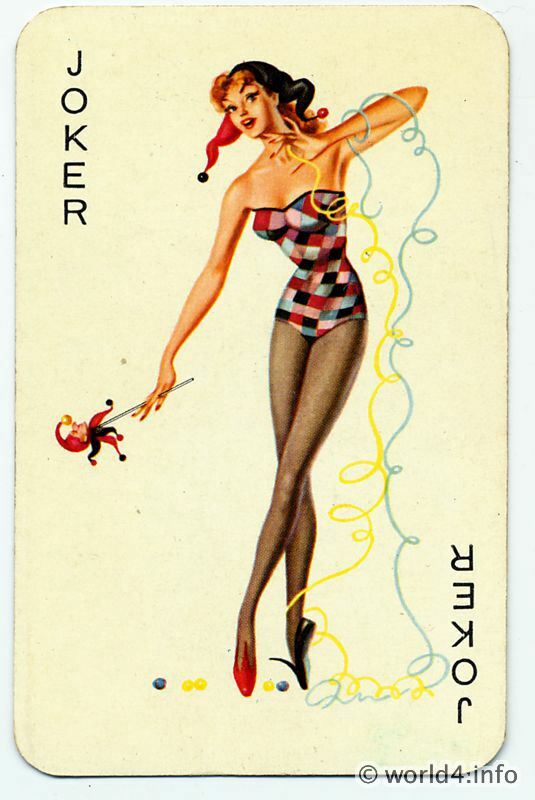 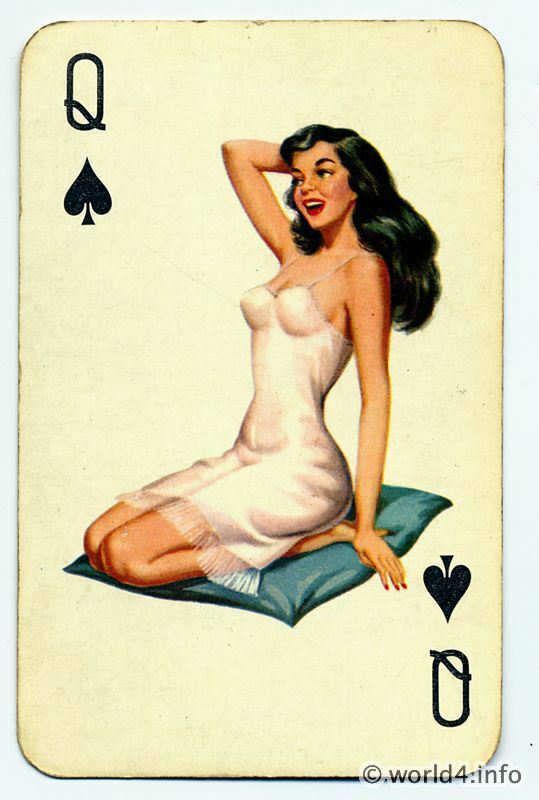 Vintage playing cards with fancy dressed pin-up girls illustrations in the fashion of 1950s, Marilyn Monroe Style.